Whether you are struggling with interpersonal conflict, intimate relationship issues, difficulty coping without drugs or alcohol, depression, anxiety, or are just feeling "stuck," seeking a therapeutic relationship that fits well with you is often the first step towards feeling more self-empowered. From our first session, I strive to develop a real connection with you. I take our work seriously but I also recognize that relief and even new understanding can be found with humor. Tapping into your humor can be a source of strength and insight and can help make sense of confusing or difficult emotions. I also listen intently and help you recognize your strengths as well as patterns in your relationships and approaches to life that may holding you back from where you want to be in your life. Together, we can connect the dots of your life to see the full picture of who you are and who you want to be. Previous to becoming a counselor, I enjoyed a career as a professional musician and was on the faculty in Towson University’s Department of Dance. I made a midlife career change to counseling at the same time I became a father so I understand first-hand the challenges of juggling the demands of work and family. Since transitioning in my career I found therapy to be the perfect vehicle for personal growth and self-empowerment that, like the arts, combines structure with improvisation, and creativity with tangible ideas. Because of this background, I have derived immense satisfaction from working with artists and creative people. When I work with couples in therapy, I appreciate the importance of using methods that have scientific support. I have received post-graduate training in the Emotion Focused Therapy (EFT) approach to couples counseling. 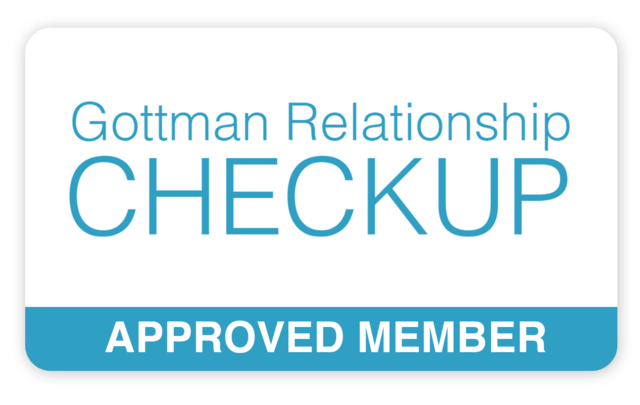 Additionally, I am a Level 2 Couples Counselor through the Gottman Institute. David works with individuals who are struggling with a variety of issues. Whether anxiety, men’s issues, trauma, addiction, relationship difficulties, or other hardships in life, he assists clients in coping with, rising above, and overcoming distressing circumstances. With David, clients experience an open environment where they can express themselves authentically. Cassie works with Baltimore Therapy Group clients in individual therapy, couples and marriage counseling as well as group therapy to help clients who are experiencing anxiety, depression (including post-partum depression), life and career changes, addictions of various types, and relationship challenges. She enjoys working with clients of various genders, sexual orientations and cultural backgrounds. Her clients have noted that she is smart, direct, and skilled at creating an environment where they can be vulnerable and grow.